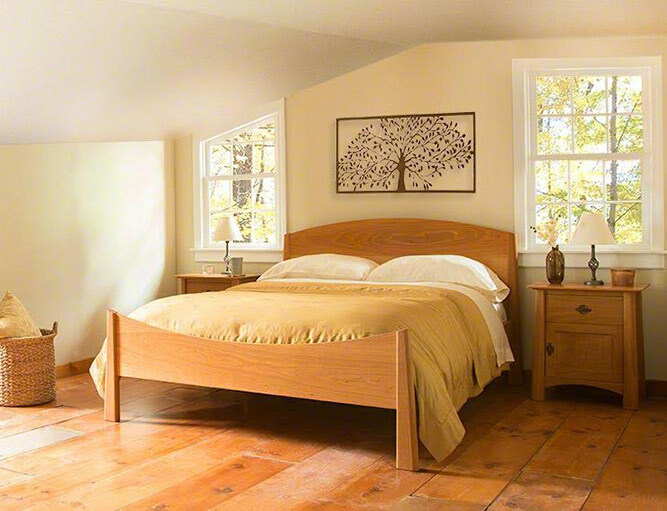 We showcase the world’s largest selection of beautiful, eco-friendly Vermont made furniture online and at our Stonehurst showroom. All of our wood furniture is carefully crafted by local woodworkers and shipped direct from their workshops to your home. Vermont Woods Studios got its start because we wanted to help save the rainforest right from where we live in Vermont. Rainforest land is often clear cut for timber that's used to make furniture, destroying precious animal habitats around the globe - and we knew we had to do something about it. So we created a new kind of furniture company--one that sells quality wood furniture made exclusively from sustainably sourced, natural hardwoods. We’ve planted >55,000 trees to reforest the Amazon and other forests where our competitors still choose to remove trees illegally. Our furniture is crafted with wood sourced from well managed North American forests. The wood is harvested in a manner that protects animal habitats and takes into consideration the long term health of the forests. All of our wood furniture is made from abundant North American hardwoods such as cherry, maple, oak and walnut. Our mission has always been environmental and everyday we try to inspire others in the furniture industry to work towards a more sustainable and transparent future. Highlights of our work in 2018. 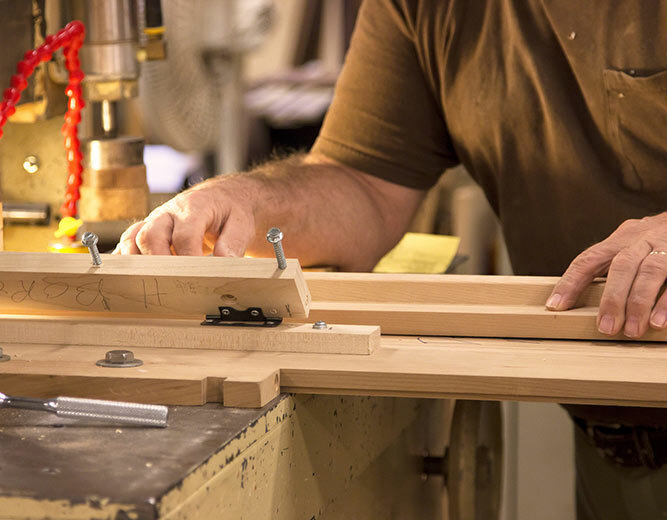 We are proud to say that all of our furniture is crafted in Vermont. Our beautiful, natural wood furniture is inspired by Vermont’s breathtaking Green Mountains, which provide many of our hardwood materials. It’s where we live and work, and it’s what we know. Each piece is built with honest, quality craftsmanship and marked at fair price. Scattered across rural Vermont towns are workshops large & small where the handed-down tradition of crafting high quality, solid, functional and lasting furniture pieces continues. 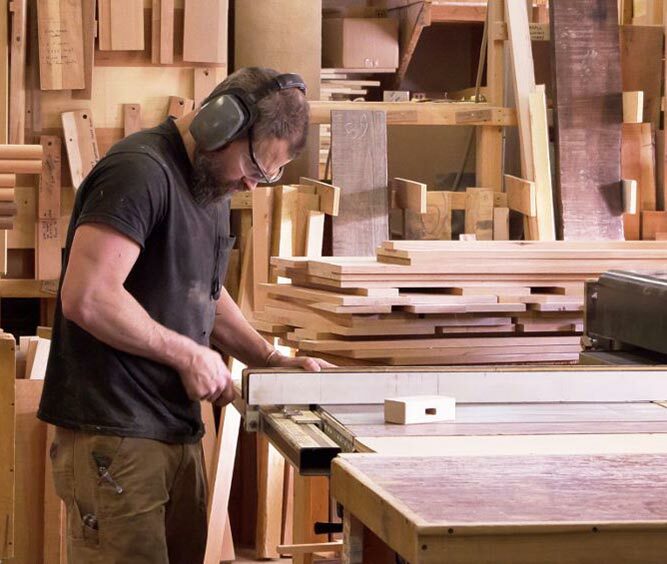 Vermont Woods Studios works with independent furniture makers to showcase their work and offer their products to you online and at our furniture showroom. Our furniture makers receive fair compensation for their considerable talent and they work in a safe and healthy environment. Some of our craftspeople work individually in small studios attached to their homes. Others work with a dozen fellow woodworkers and some own large companies that employ over 50 craftsmen and women. With a dedication to sustainability, each workshop has its own preferred methods and procedures for sustainability. We can say with honesty that for Vermont woodworkers, practicing sustainability is not a new idea. A respect for the land has been a consistent part of our culture and our workshops have even won awards for their practices. 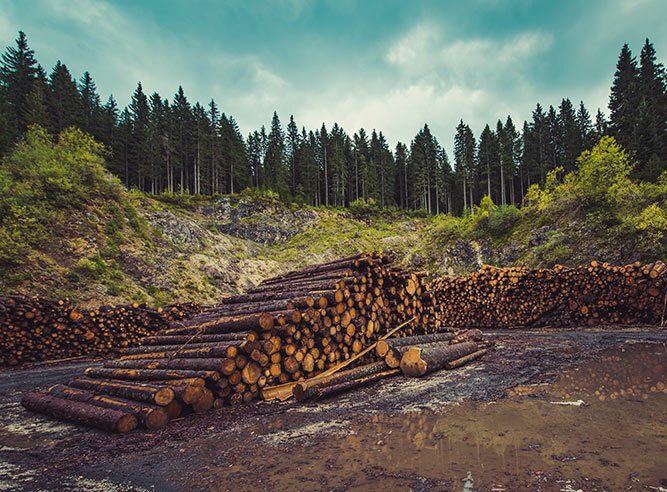 The lumber used in your furniture is sustainably harvested from forests within 500 miles of the workshops. Wood chips are used to heat the workshops and sawdust is given away to local farms. Some workshops save salvaged wood for reclaimed pieces and some have even installed solar fields. After weathering Hurricane Katrina and losing her job teaching a distance learning program at Tulane University, Peggy did what any social entrepreneur would do--start a company to help save the planet. Her passion for forest conservation and the Vermont furniture industry inspired her to get this green business off the ground. From a spare bedroom in her Vernon home, Peggy and her husband Ken began selling unique Vermont-made furniture. 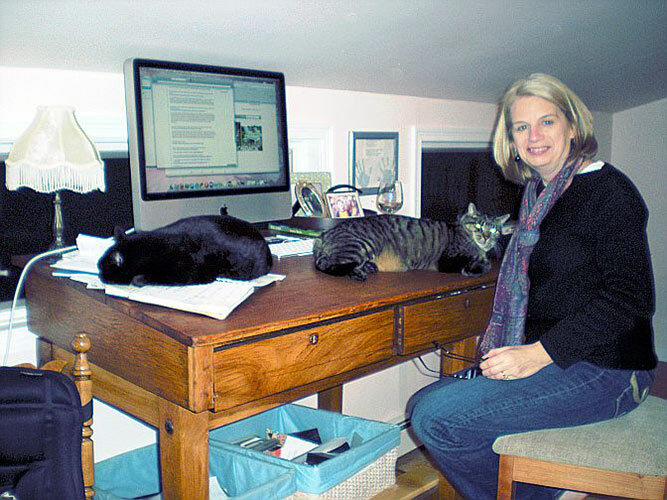 Surprising even to her, through trial and error, she found a niche. Founded in 2005, Vermont Woods Studios employs over a dozen people, and in 2013 opened Stonehurst, a renovated 18th-century farmhouse and barn that serves as the company headquarters and showroom. With the basic building blocks of a brick and mortar store in place, Peggy now looks forward to getting back to her original mission of forest conservation. Follow our efforts in conserving monarch butterfly habitat in Michoacan, Mexico and see how we’re bringing Peggy’s dream of forest conservation to life.